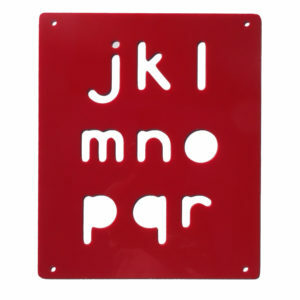 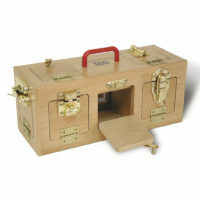 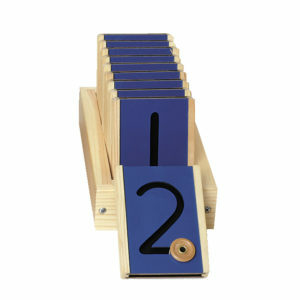 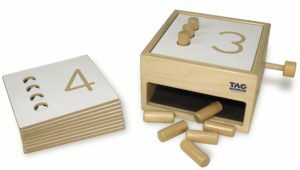 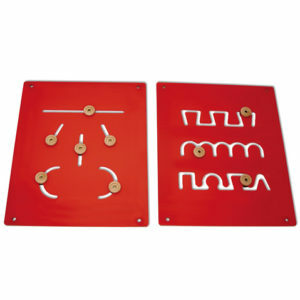 Same quality construction as TAG’s Lock Box Memory Game but a more economical version with 6 doors to teach the child how to fasten and unfasten, open and close, and hide-and-seek. 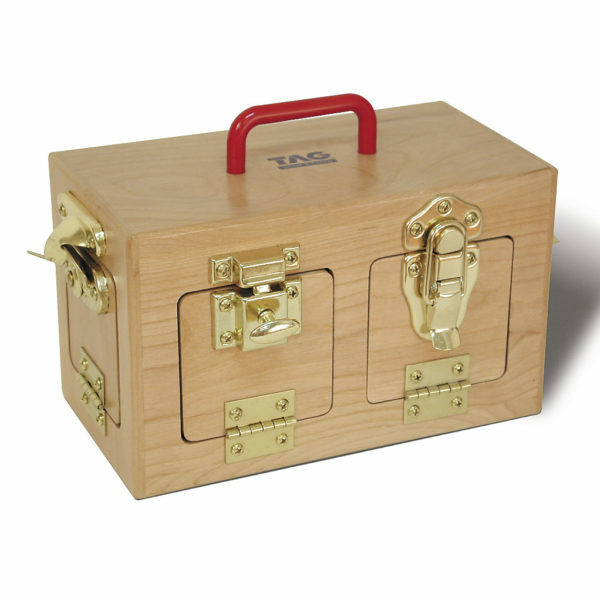 Solid hardwood, brass plated hardware and easy grip, carry-along handle. 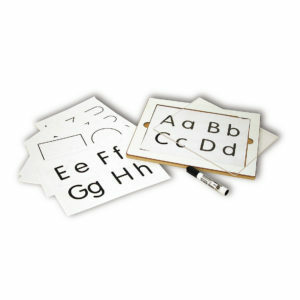 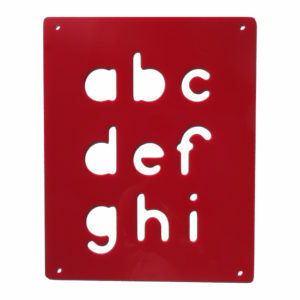 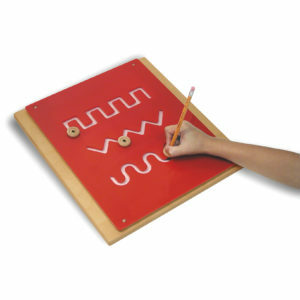 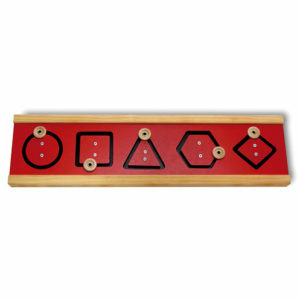 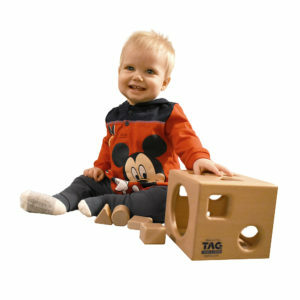 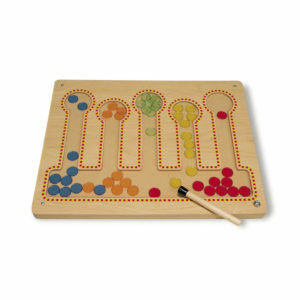 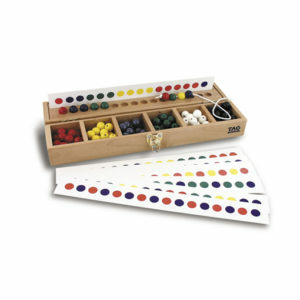 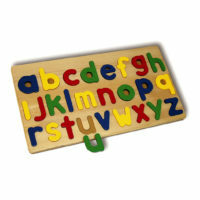 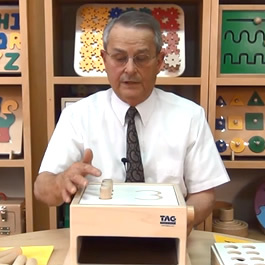 Develops hand control, muscle strength and finger dexterity. 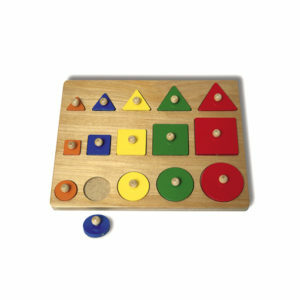 Encourages a sense of order. 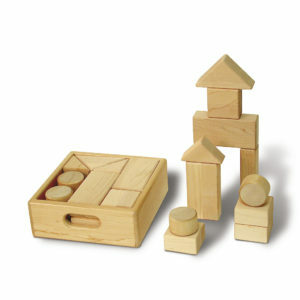 Entertains young children for long periods.